I am still working on getting all my strength back since surgery. Today was a good strength workout, difficult and got me sweating but i can feel the strength and stamina coming back! Yay!!! I was tempted at work today lol. 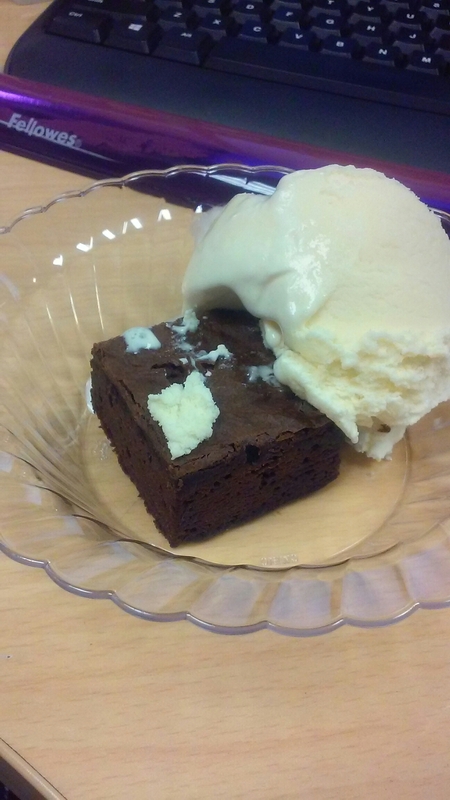 But i chose a brownie with no frosting and a small scoop of vanilla. Dinner!!!! I love food!!!! The workout hunger is starting!!! Lunch was leftover mac and cheese from a blue apron meal.